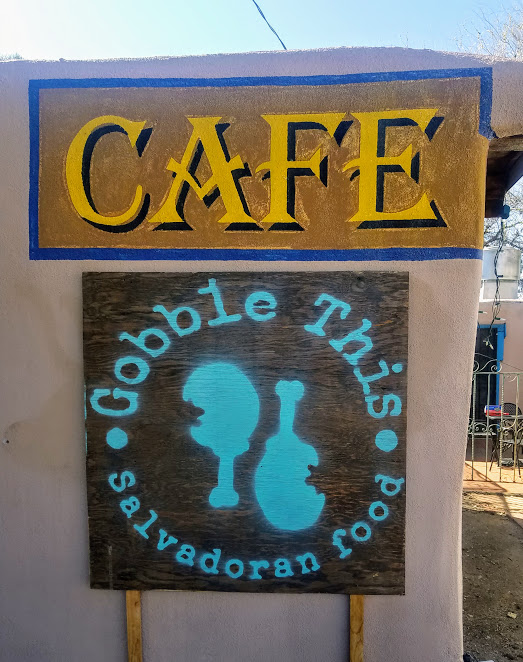 Gobble This - Salvadoran Food: Another Gem in Old Town Abq. Old Town Albuquerque never disappoints in the food department. 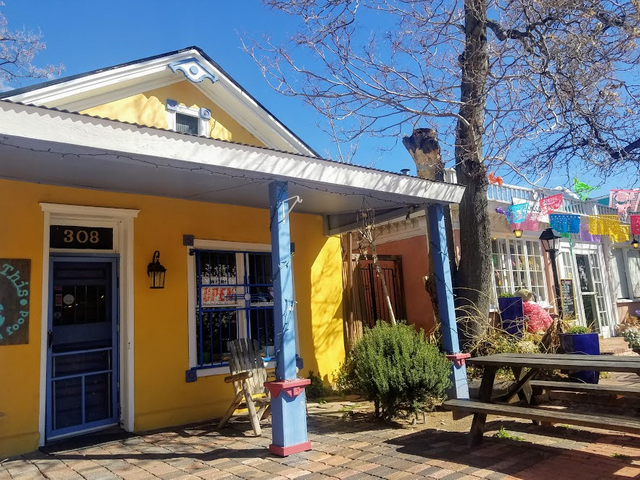 While most of the restaurants in the area showcase the unique and beloved New Mexican cuisine, if you are looking for something a little different, you'll find it. For instance, this Salvadoran restaurant one block off the main plaza is an excellent place to grab a bite of great food from another place. To be honest, we weren't looking for a place to eat when we stumbled upon this treasury of delicious foods. We found ourselves lured in to the restaurant just by the intoxicating aroma that was wafting from its windows. The restaurant is called Gobble This, which is exactly what you want to do when you are served a plate of their food. I was initially worried that I would be unable to find a vegetarian dish on the menu of a restaurant that has turkey drumsticks as their logo. But i was pleasantly surprised; the menu was full of veg-friendly options like beans, cheese, and veggies. 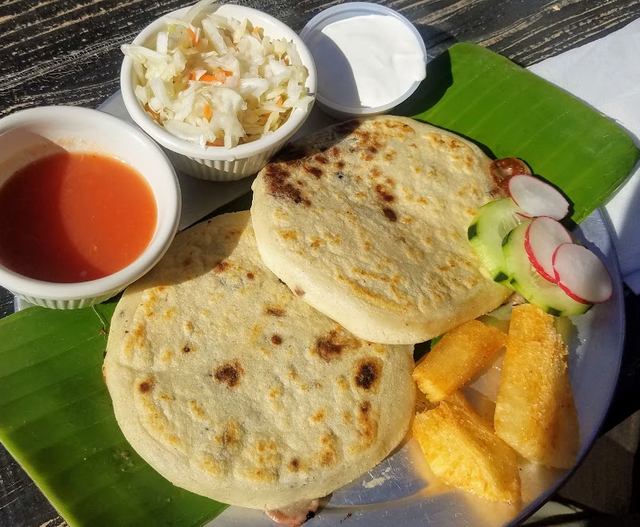 We ordered a plate of papusas, which are delectable cornmeal flat breads, filled with yummy goodies, cheese and black beans in this case. Served atop a banana leaf, with a side of Curtido (which is basically a Latin coleslaw), we did indeed gobble up our food. We enjoyed our food from their cozy patio, outside of their colorful building. It was a great place for people watching, with a perfect view of the main plaza, and locals and tourists alike enjoying one of the first days of spring. The building is so vibrant, you won't miss it, and the smells emanating from the restaurant are so amazing, there's no way you wont be tempted to sneak inside for a taste. Wow, this looks like a really cool place! I like the colors and the weather looks fantastic. Our sky is looking just about that blue right now, but the temps are only in the 40's. Those flat breads look really tasty! Thanks for sharing!